The Senate President, Dr Bukola Saraki, has asked residents of Abuja to stay calm following the tremor witnessed recently in the nation’s capital. In a series of tweets on Friday, Senator Saraki said there was no cause for alarm. “We have all been feeling the earth tremors in Abuja and surrounding areas over the last 48 hours. I know that many people are scared but please, remain calm and vigilant,” he said. 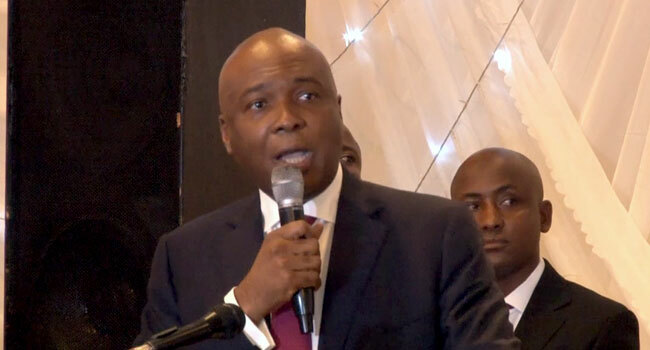 The Senate President asked the National Emergency Management Agency (NEMA) and the FCT Emergency Management Agency (FEMA) as well as relevant agencies to ensure necessary measures are put in place to prevent a loss of lives and property. He added that the Senate has briefed the Federal Capital Development Authority (FCDA) on the issue. The Chairman of the Senate Committee on FCT, Senator Dino Melaye, has already briefed the FCT Minister on this issue. Earlier in the day, FEMA asked the residents not to panic after reports that there were shakings around Mpape and parts of the Maitama district. The agency explained in a statement that the tremor could be as a result of stress in underground rocks and may be due to mining activities in an area. It clarified that the incident was a tremor and not an earthquake, as Nigeria is not likely to witness such a disaster.